An incident in the 1850s inspired consideration about adopting a rule to curb such excesses, but the Senate finally did so only after an ugly episode during a debate in 1902. South Carolina's "Pitchfork Ben" Tillman accused his South Carolina colleague, John McLaurin, of selling his vote for federal patronage. McLaurin called Tillman a malicious liar. Tillman lunged at him, striking him above the left eye. McLaurin hit Tillman back with an upper-cut to the nose. They were separated by other senators, and the brawl caused consternation throughout political Washington. Senator George Hoar of Massachusetts seized the occasion to propose a rule he long had had in mind: "No senator in debate shall, directly or indirectly or by any form of words impute to another senator or to other senators any conduct or motive unworthy or unbecoming a senator." Once adopted, senators had the means of instantly quieting raucous or abusive debates. Indeed, is it not obvious that we must protect the integrity of Rule 19 to ensure that the Senate continues to be a safe space for Ben Tillman's successors? 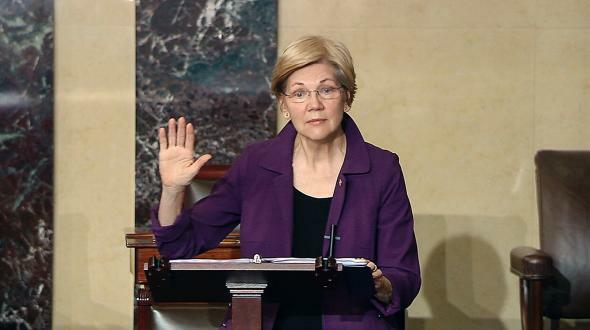 #ShePersisted and #LetLizSpeak have emerged as the hashtags with which to commemorate this important moment. Just two weeks after Warren drew heatfor voting to advance Ben Carson’s nomination for Housing and Urban Development secretary, she’s emerged as a symbol of the type of perseverance certain Republicans hate most: women’s. 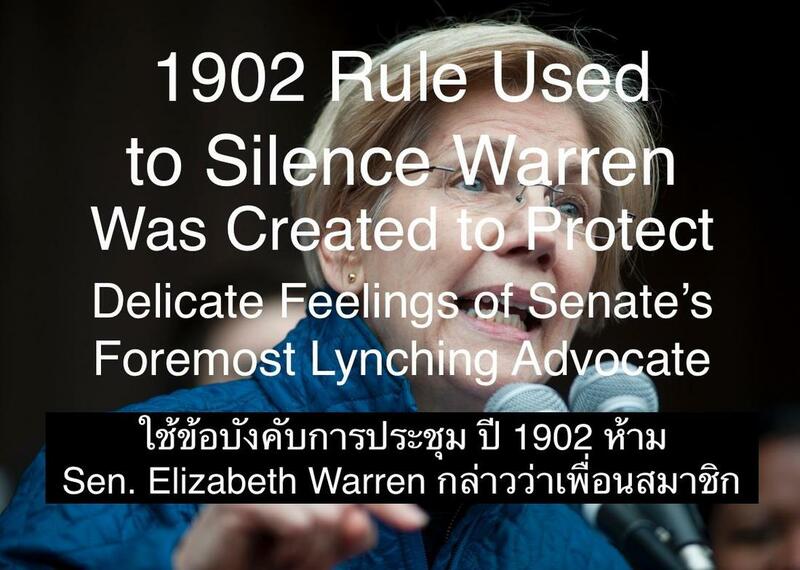 The silencing of Warren is doubly insulting because it amounted to a silencing of King, the late civil rights activist and wife of Martin Luther King, Jr., whose letter spoke to Sessions’ persistent (!) harassment of black voting rights activists and intimidation of elderly black voters. CHRISTINA CAUTERUCCIChristina Cauterucci is a Slatestaff writer.